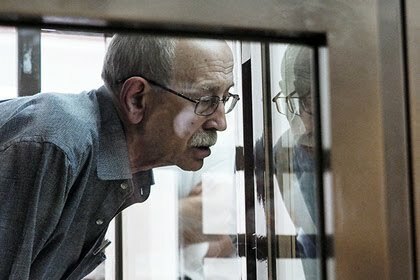 Team 29: Elderly scientist Viktor Kudryavstev held for six months on remand. His family needs your help. 75-year old scientist Viktor Kudryavtsev, who has spent nearly 50 years working on the development of Russian rocket science, stands accused of treason and has been held in the Lefortovo remand prison for the last six months. Due to his diabetes and other conditions, Kudryavtsev cannot eat the food they give him in the remand centre. Now, food is being brought to him by Kudryavtseva’s wife, Olga, who is the same age as him. However, this could be done by a courier, and so we are raising money to pay for such a service. Our target is to raise 30,996 rubles and 8 kopeks. That’s enough to pay for the courier to deliver food from Korolyov, outside Moscow, where the Kudryavtsevs live, to the Lefortovo remand prison from 11 February to 30 April. A proportion of that amount (2,996 rubles) will go towards commission for the Cloudpayments service plus taxes. You can read more about the collection here. Help the family of Viktor Kudryavtsev!